tcworld China is an event organized by Bingmao Conference and Exhibition Service Co., Ltd. in collaboration with tcworld GmbH and tekom Deutschland / tekom Europe. Registration for the conference is binding. The participant will receive a confirmation by email, which serves as the entry document at the conference. 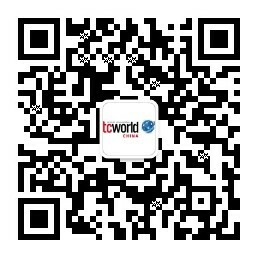 The conference fee is due upon online registration on the offical website, at the following link: www.tcworld-china.cn. Participants can use payment methods such as bank transfer, alipay, or wechat pay. After registration and payment, no cancellation will be possible. Any payments made for the ticket cannot be refunded. However, registration is transferable. The participant can transfer the ticket for free to another person by informing the event organizer of the transfer by email at contact@tcworld-china.cn, stating the full name, email address, phone number, job title and company name of the substitute participant. Tape recordings, video recordings and photographs are strictly prohibited. Exceptions must be discussed with conference management beforehand. Bingmao Conference and Exhibition Service Co., Ltd. and tcworld GmbH has the right to photograph or video-record the event. The pictures and video recordings are kept permanently for the documentation of the event. Selected material will be used for reporting and promotion purposes in ‘tk’, tcworld magazine, the association websites and social media such as Twitter, XING, LinkedIn, Facebook,YouTube, and wechat. Please approach the photographer or cameraman directly if you do not wish to be photographed or filmed.